When you are choosing the right home lock for your home, consider one of the 8 most trusted home lock brands. In this article you will find out the 8 most trusted home lock brands money can buy. It is unfortunate that some people still choose based on what they think is popular. They will just listen to what other people are saying and then that’s it, they would choose the one that they think will work best for their needs. Choosing locks should be based on the level of security that they can offer. Do you honestly want to purchase a lock that can be cut by an intruder easily? Would you like to have a type of lock that is made out of low-quality materials? You would not, so you should pay close attention to the locks you are going to use for your own home. 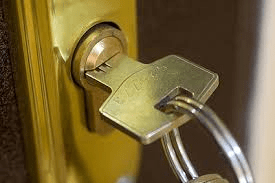 These are the things that you can do in order to choose from a wide variety of home locks available for home security in Austin Texas. Get to know how the different lock types work. Being aware of the various revolutionary lock designs will allow you to pick the best type that can keep your home safe and secure. Check if the lock that you are considering to purchase has passed the industry standards. Those that did not pass should not be considered unless you want your home to be easy to break into. Consider the finish of the lock. There are various lock designs available that will allow you to choose the one that will best fit your home. You can check the reputation of the company. Is the company one of the most well-known in the world? Is it well-known because of good reasons? If the reputation of the company is bad, then you should not support the company by purchasing its items, you need to find another trusted home lock brand. Do remember that there are still a lot of other good lock brands that are available. The ones that are placed on this list are the home lock brands that managed to prove themselves worthy of being trusted over the years. All companies, all brands have their own strengths and weaknesses and the best home lock brand for you may not be the same brand that your friend would trust. Nevertheless, it is good that you have some options. 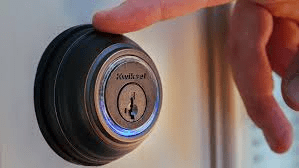 Kwikset – Are you familiar with this home lock brand? Even if you are not, it is very likely that you have used this product at some point in your life. This is placed in different doors in various countries. The locks that they offer are not known for being the best and if you live in a neighborhood with people that you cannot trust, this may not be the best brand that you can pick. It is inexpensive though and they have a line that is made with sturdier home locks. Baldwin – If you love visiting home improvement stores, this is one of the most usual locks that you will find. It may not be the worst available but it is not the best lock that you can purchase either. The lock is strong though so you just have to feel it and know that it is solid. Remember that heavier locks are made out of more metal which means that they will be harder to cut through. Yale – If you would ask people what lock brand they trust, a lot would say Yale. The brand is known to be innovative and they have paved way for other lock brands to emerge in the industry. The home locks created by Yale are usually well-constructed. This lock brand is so popular that it has become synonymous with the word “lock.” In fact, people may think that this is the ONLY lock brand to trust. Mul-T-Lock – This brand has done a lot in order to become recognized by people for their products. People perceive this brand to produce the strongest locks probably because of the different commercials and advertisements that it has produced to the public. Thieves may try to pick on their locks but it may be a challenge as compared to the others. Abus – This is a brand that has always specialized in creating padlocks. This has been around since the mid-1920s which explains why a lot of people still trust this brand over all the others that are available. It is constantly improving and this is what you can expect when you choose this home lock brand. Medeco – Some people consider this lock to be the best one that they can use. There are some people who think that this is overhyped though. It would depend on the type of lock that you have purchased for your home and how effective it was for you. They do make updates with their lock designs but people are saying that their early lock designs are still the most secure. Evva – Aside from being popular, this is one of the most trusted lock brands right now. It has managed to create a type of lock that people are unable to destroy even if they try. There are some claims from people who say that picking the MCS model is easy but so far, there is not enough proof to prove that they are truly successful. Assa – Abloy – If in case you do not know Assa-Abloy, you may be living under a rock because this brand is responsible for all of the other brands that you normally encounter every day. You can expect this company to provide the level of security that you are searching for based on the products and the services that they offer. Without this brand, how will you have other options when it comes to picking the right lock for your home? You may be familiar with the brands that are mentioned above or not. If you only know a few, research about the different ones. The more that you know, the easier it will be for you to find a lock for your home that will give you peace of mind.